The fact that Ronnie and Stein are able to figure out how to work together (even as they continue to snipe at each other) results in a functional version of Firestorm more or less recognizable from the comics. I have no idea if these episodes are meant as a backdoor pilot for another series (although at this point I fully expect DC properties to entirely take over the CW primetime lineup by 2018), but at the very least there’s another player in reserve for future guest appearances, either here or on Arrow. I definitely wouldn’t be surprised by a season-ending Justice League team-up, although we can be certain Batman and Superman will never be members of the small-screen version. Elsewhere in Central City, Iris may have finally found herself in a viable storyline, as her reporter colleague Mason Bridge enlists her into his investigation of the particle accelerator explosion. Snooping on her STAR Labs friends will undoubtedly lead to trouble down the road, but at least it’s more interesting than serving coffee at Jitters. How long will it take her to put two and two together and realize her friend who got struck by lightning is now the fastest man alive? It will probably happen sooner than later, given how loose Barry has gotten with the whole secret identity thing. Granted, there was no way of keeping it from Ronnie and Stein, but the super-speed pizza delivery in front of Mrs. Stein was a bit gratuitous, and Eiling knowing the truth can’t be a good thing (if Eiling is even still alive). Then again, Central City residents can be slow to notice some things, such as the fact that Dr. Harrison Wells is not such a great guy. At least Joe hasn’t shed his suspicions, but it’s odd that Stein chose not to pass on the information that Wells had drugged him and turned him over to Eiling. Maybe Stein genuinely believed he’d simply passed out just the Army descended on STAR Labs, but that’s a bit of a reach. The other major piece of business this week is Barry learning that he was in the room when his mother died—or rather, a future version of him was in the room. It doesn’t look like time travel is in the cards anytime soon, but if anyone can build a Cosmic Treadmill, my guess is Stein is the man for the job. The big question is, can Barry change the past knowing he already failed? And if he does so, will the ripple effect cause other major changes to history…perhaps a crisis requiring the Flash to sacrifice himself? All of that seems like material for much later in the series, but you never know. Things move pretty fast around here. 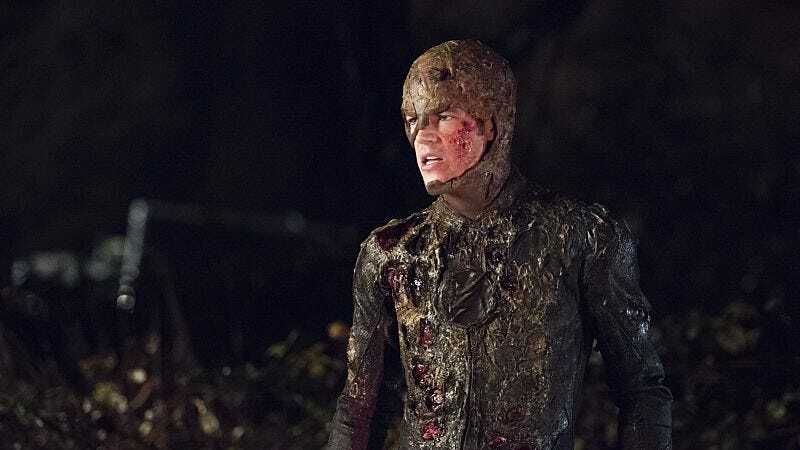 Wells definitively revealed himself as Reverse-Flash to Eiling. More importantly, he revealed that he and Eiling both have a history with Grodd, who shows up briefly (and, predictably, covered in shadow) to drag Eiling away to an uncertain fate. We’ve got another extended hiatus ahead, as the next new episode won’t air until March 17.